Work has finally begun on this incredible project. Although we anticipate building this app to take some time, as more "on the ground" research needs to be done to verify species reports (which can't be undertaken till Spring), we are really excited to be working in a region rich in both natural and cultural heritage. 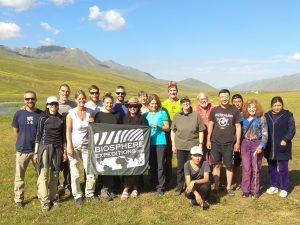 Since 2015, Lapis Guides has been working alongside Biosphere Expeditions in order to collect valuable secondary data during their yearly Snow Leopard expeditions in the Kyrgyz Ala Too Mountains. One expedition member wrote about her experiences on National Geographic's Open Explorer website. Click below to learn more about the project and how Lapis Guides is involved. As a result of some map and translation issues, we are still in the process of finishing version 1 of the Birds of Qinghai app. The mini app is available on Lapis Guides, but mapping does not work at this time and some aspects of the field guide are not translated into Chinese yet. 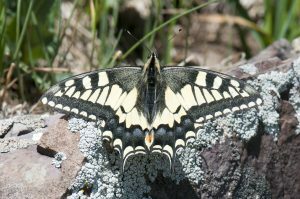 The Chinese translation of the Butterflies of Daxing'anling mini-app is finally complete. A big thank you to Yifan and HefenLu for putting in an amazing effort to translate all of this information! The mini-app for Birds of Qinghai is nearing completion of version 1. We anticipate that this release will happen before March of 2018. Version 1 will include 57 bird species from 24 different families. 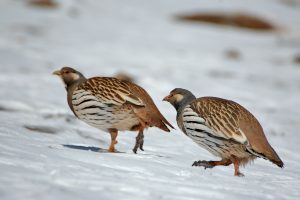 A variety of common and rare endemic birds will be included in the first version.